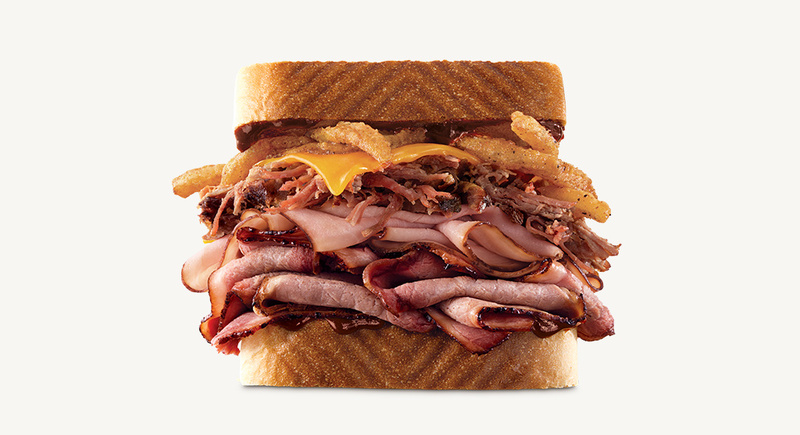 ​13-hour smoked brisket, pulled smoked beef short-rib, smoked ham, melted cheddar cheese, crispy onions, and Smoky BBQ sauce all between two toasty pieces of Texas Toast. Sometimes good things come in small packages. Sometimes they come in a sandwich so big it’s named mountain.